Mobile Testing an interesting topic to discuss about a device that has become a part of our daily life the "Mobile phone". Its pretty much a small world inside for every person who has a Phone. Mobile Phones has come a long way from being a phone with keypads with small screen and also heavy to carry today phone's are advanced technically with touch screen , Internet enabled which makes an user to do everything right paying his bills to check his email and every individual is well connected.So in this advanced version of the current Mobile Phone its very important it delivers what it is designed for. 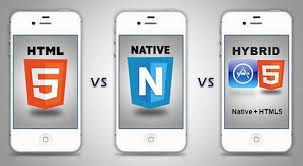 Mobile Testing is split into Mobile Application Testing and Mobile Device Testing. So lets dig more on what is Mobile Application Testing is all about in brief then we will discuss on Mobile Device Testing. Application should be able to initialize the process of a proper download from any place it is stored. More Precisely from any Store. The Application devised for should be able to perform across various platforms like Android, IOS, Symbian, Windows Phone, and BlackBerry (RIM). Each operating system has its own limitations. The Mobile Phone should be able to take up a phone call when we are working on a application. Mobile devices should work well with different screen input methods (QWERTY, touch, normal) with different hardware capabilities. When Testing a Mobile Application there different ways of approach one is Testing on Real Devices and the other Testing on Emulators.Though both approaches are perfect There are certain limitations as well when we test in emulators as they often miss issues that can only be caught by testing on real devices. Since Real Devices are expensive to purchase and time consuming to use for testing we tend to go back to emulators. The above we discussed more on what is mobile application testing is all about now let us learn more on what is mobile device. 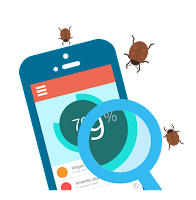 Mobile-device testing involves a set of activities from monitoring and trouble shooting mobile application, content and services on real handsets. Testing includes verification and validation of hardware devices and software applications. Mobile Device Testing is done to ensure that the function of the devices are working as per expectation and in this type of testing both the hardware and software are tested to ensure that both are compatible to each other. A Mobile Device Goes through various levels of testing like the Unit Testing, Factory Testing and finally the Certification Testing. Unit testing is a test phase when portions of a mobile device development are tested, usually by the developer. It may contain hardware testing, software testing, and mechanical testing. Certification testing is the check before a mobile device goes to the market. The Future of Technology is moving towards more into Hand Held Devices and in this Mobile Phones plays a very important role. And for the Software Testing Professionals a new venture of Opportunity to look out and to work on. Helpful post, share more testing concepts. 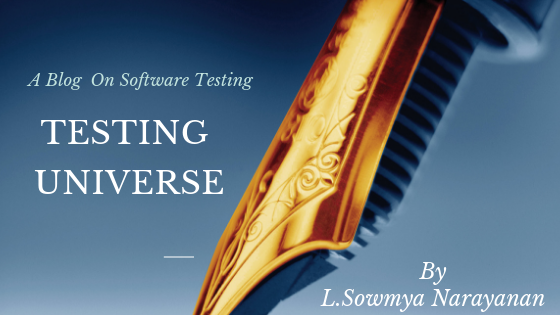 Testing Universe is a Blog which focuses more on Software Testing its techniques, methodologies and concepts. The Blog focus on sharing its thoughts on Positivity and how a positive mind helps us to achieve our goals.